Disclaimer: I received Brilliant Reflective Safety Strips to try and review as part of being a BibRave Pro. 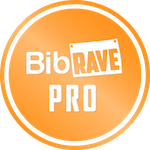 Learn more about becoming a BibRave Pro (ambassador), and check out BibRave.com to review find and write race reviews! As always, all opinions are my own and I was not further compensated for my review! I don’t know about you, but unless I am coated in reflective gear, I don’t feel completely safe while out running in the early morning or evening hours. I love having clothing that has reflective elements built in so I don’t have to add more layers of reflective vests, straps, belts, and the like. 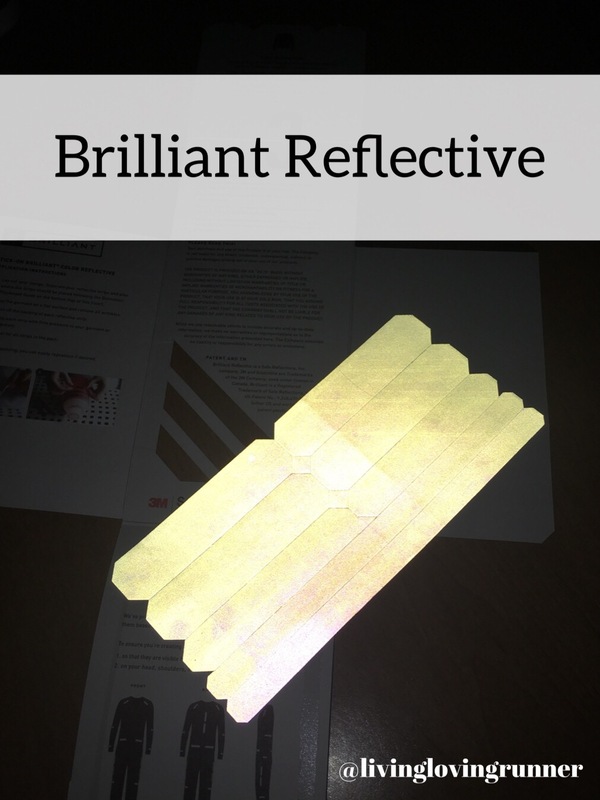 When I had the opportunity to test and review Brilliant Reflective Safety Strips, through being a BibRave Pro, I jumped at the opportunity to be more visible on the road! As you have read before, I have several tools to keep me safe on the road and reflective clothing is #1. You don’t have to go out and buy expensive reflective clothing, just check out Brilliant Reflective Safety Strips and you can make any gear more visible! Brilliant Reflective is a small company with the mission to reduce automobile accidents with pedestrians on the roads. Whether you are a walker, runner, or cyclist, Brilliant Reflective Safety Strips will help you be more visible to the world around you. As a BibRave Pro, I was sent Brilliant Reflective Iron On and Stick On strips. Both strips work in the same way, and can be applied to different types of materials. From my experience, both the iron-on and stick-on strips work well on my polyester and nylon jackets! I have not tried applying them to garments with spandex due to the amount of stretch – but at $10 a pack, you can try them on just about anything! When applying the stick-on strips, the strips were super easy to peal and place – and through several washes, I haven’t had any issues with them coming off! I call these my “tail lights” on the bottom of my jacket 🙂 The stick-on strips are semi-permanent and work well on apparel as well as equipment like water bottles, bikes, hydration vests, helmets, shoes, dog leashes, hats, etc. The best places to put the strips are on the areas on your body that are moving, or what Brilliant Reflective calls “Biomotion” areas – your hands, your arms, your shoulders, your torso, your legs, water bottles, dog leashes, hats, shoes…whatever your heart desires! I had a little fun with the iron-on reflective strips. I placed the strips below my shoulders and towards the bottom of my jacket. These are areas that aren’t always lit up from my reflective vest and add some flair to my winter running gear 🙂 The iron-on strips are permanent and last through many washes! I have only washed my jacket a few times since I applied these strips, but they are still in tact! Here is a little snip of how well the little strips work when it comes to reflecting! Start your new year off right! On Tuesday, January 10th, BibRave and Brilliant Reflective will be hosting a #bibchat at 8pm CST. Come by and chat with us about this great product and you’ll have a chance to win some of your own! Be there, or be square! Also, you can use the code “BIBRAVE25” for 25% off the full order (one time use per customer). The code will expire on Tuesday, January 10th at 11:59pm. Will I see you at the #BibChat? What precautions do you take to be seen on the road? I’d love to hear from you! Leave a comment and start a conversation! You can most definitely see a difference with the tape! I was able to try out the Knuckle Lights recently but I think it’s so important to be as visible as possible! Yes! I have flashed my Knuckle Lights at a driver or two that was trying to figure out what I was coming at them… Safer than with nothing, but I still have my guard up!